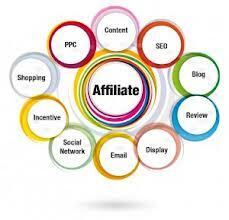 Affiliate marketing is the act of referring products and/or services to your own customer base. You advertise and target to your own market and receive a certain percentage of the sale. When working as an affiliate marketer you are given a referral link with yourusername. In order to earn commissions you must have the customer click to buy the product through your link. Here is a secret, with certain affiliate companies such as Amazon, eBay, Clickbank, etc. the cookies will remain in your buyers files. You can still get sale credits for people even days after they have viewed the page and decided to return. 1. Reputable Company – Reputable companies often have higher conversion rates for sales because the customer puts their trust in these types of companies. More trust leads to more sales with affiliate marketing. My top pick for a reputable company is Amazon because they have been around for decades and have a trusted customer base in the millions. 3. Percent Commission – When you sell items as an affiliate marketer you obviously want to earn easy money which can be done. There are a few factors that will help you interpret which company is best for you. Commissions are usually in percentages but let me give you some insight on how to pick top paying company. Look at the percentage and price of the product. For example, Amazon pays 4%commission to beginning sellers and gradually increases as you sell more products. If you sell a $100 item you will get $4 in your pocket. Clicksure.com pays anywhere from 25-75% commission on products that are a bit cheaper, usually costing around $20-$50. If you do the math, 25% from a $50 item will yield you $12.50. Always keep in mind this simple math so that you can calculate how much you will make per sale. You can often earn money online without investment because the products you’re selling you do not have to buy with a starting inventory. The inventory is given to you and includes thousands, if not millions of products you could potentially sell. 4. “Salability” of a Product – Salability in my terms is a product that you can easily sell. Try to sell products that you would by yourself, that way you can feel more confidant and sell more effectively. There are a couple secrets that I can let you in and if you utilize them properly the potential is outrageous. You should take a look at trending items and you can achieve this through Google Trends, and Amazon will even show you statistics as to which items are selling the best. The tools are there for you to earn easy money you just have to use them. You can narrow your items to products that are in high demand with low competition and increases .